Original period manufacture. Multi piece construction of sewn leather, with stitch marks on the edge frombeing sewn to a flight jacket. 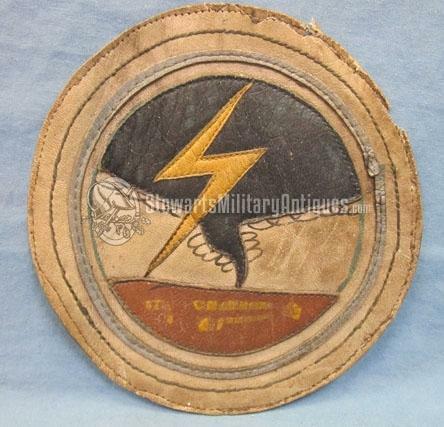 The patch measures 4.5 inches in width, and depicts a lightening bolt and approachingtornado. 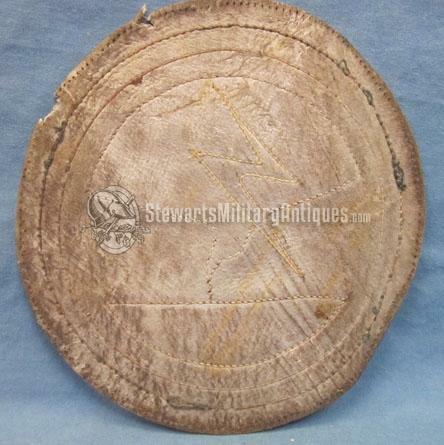 Minor tears in the edge, otherwise honest wear and use.The 434th Bombardment Squadron was a well-traveled unit during WWII, initially flying B-25 bombers in support of the British 8th Army in Egypt. InMarch of 1944 it was transferred to the China-Burma-India theater, again providing support for our British Allies in Burma.